InTouch Games Ltd Casinos group is proud of its brand, and rightfully so. Dr Slot online casino is another of this group’s success stories. In fact, many happy players would say the brand is a firm leader in the iGaming industry, and particularly the mobile casino industry. So, while Dr Slot is operational on both mobile and desktop devices, games are played on tablets and smartphones only. 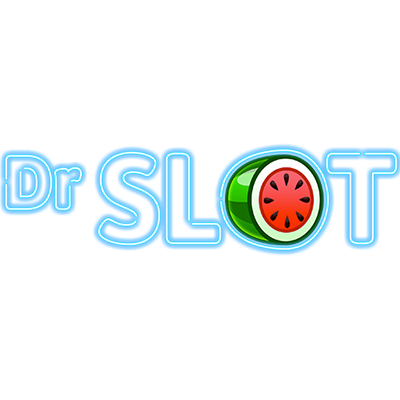 Although Dr Slot only launched in 2018, this is one healthy doctor. It’s already managed to obtain a licensed from the stringent and reliable UK Gambling Commission, which just goes to show that it meets all industry standards, and quickly at that. What’s more, the platform is audited regularly for gaming fairness and there is encrypted protection of all information on the site’s servers. Dr Slot online casino boasts an extremely easy to use interface and a fantastic selection of unique slot games. It’s a casino for thrill seekers that want a little something unusual. And a little something you will get. There are free spins, exclusive slot games, and an excellent no deposit bonus to get you started. Best of all for slot lovers, this site is home to some of the latest slot games in the industry. You’ll find reels you won’t find anywhere else and plenty of thrills to boot. Did someone call for a doctor? Step aside and let Dr Slot Casino make things better. In fact, he’ll quickly prescribe you 20 free spins just for signing up. In fact, it’s safe to say Dr Slot will soon get your pulse racing when you find out what’s on offer at tis casino. Finally, you’ll get a 25% match deposit bonus on your fifth deposit worth a whopping £450. All in all, you can get up to £1,000 worth of deposit bonuses and 120 free spins when you join Dr Slot online casino. All the spins are to be used on the casino’s very own and very original Super Fruit Bandit. Dr Slot knows that to keep you coming back, you need some more bonus medicine! That’s why the casino offer up to 20 free spins every week when you fund your player account. They’ll give you 10 spins on a Monday and 10 spins on a Friday. Talk about starting and ending the week with a bang! As with any casino, bonuses at Dr Slot carry terms and conditions. You don’t need a promo code to claim any of the bonuses, and you do need to be 18 years or older. The offer is available to new players who deposit at least £10 and your no deposit 20 free spins carry a 7-day expiry date. Your 100 free spins are divided into sets of 10 over 10 days, each set has a 24-hour expiry. Both the welcome bonus and any winnings from the free spins carry a 40x wagering requirement and are awarded as a non-withdrawable bonus credit. Deposits carry a 1x wagering requirement. Dr Slot has laid out a good selection of payment options. It’s worth noting that some payment processing services seem unable to process certain payment requests when placed directly via the mobile platform. Be that as it may, you still have plenty of options available. Pay by Phone can only be used for deposits, but it’s a quick and easy way for you to fund your casino account through a sort of prepaid service and then pay it off later on as part of your phone bill. Dr Slot imposes a 1x wagering requirement on all deposits. It’s a fairly standard measure mobile casinos use to prevent you from playing through part of a deposit and then withdrawing the rest. Keeping in line with that train of thought, deposits are limited to just £3 for deposits via phone bill and a minimum of £5 for any other method. The casino aims to process withdrawals in three working days. The minimum deposit at Dr Slot is £10. Withdrawals are pretty much the same as deposits, except that the minimum withdrawal is £20 for players who have made a deposit and £30 for those who haven’t. Interestingly, the entire payment processing function is done via your mobile phone number. If you’re looking for a massive range of different slots you won’t find at other online casinos, sign up now! The games at this casino are produced exclusively for the mobile casino by the owners, Intouch Games Ltd, a well-known software developer that you won’t find in other online casinos. What you can look forward to is games that keep slots players of all levels entertained, enthralled and spinning the reels for hours on end. There are tons of amazing titles to try, like Birds on a Win Line, Jackpot Jello, All the 7s, Karate Kash and so much more. If you’re an avid online slot player, you’re sure to love the exclusive portfolio at this casino. Best of all, the assortment of slot games continues to grow as new games are regularly released. If you need a break from spinning the reels, you can spin the roulette wheel instead! On the whole, the slots at Dr Slot mobile casino are well worth downloading and installing. There are tons of exciting themes, top-notch graphics and animations and loads of in-game rewards. There are even highly exciting progressive jackpots to try your luck at. 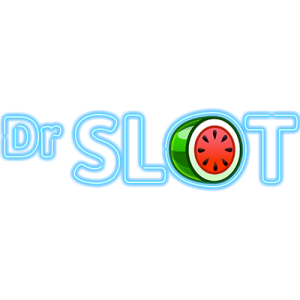 Since Dr Slot has its very own games, we get that they won’t be able to boost as many progressive jackpots as other online casinos, but it’s still a really solid starting point and a great opportunity to try and win a life-changing amount of cash. Titles like Lumberjack Pots and Reel Monster are just some of the popular progressive jackpot slots at Dr Slot, offering big wins thanks to their numerous free spins, wilds and host of other rewards features. Dr Slot is a mobile online casino that’s all about slots. So, it doesn’t really surprise us that there are no live dealer games. That’s okay – the especially-designed slots are still something to write home about! Every single game at Dr Slot online casino can be downloaded and has been designed to be compatible with iOS and Android mobile devices. In fact, the games have been purposefully designed with mobile use top of mind. That means you can expect exceptionally smooth downplay, super-fast downloads and a superbly user-friendly experience. What’s more, you can quickly and easily download the apps for your tablet or smartphone from the App Store or Google Play. One big reason Dr Slot is such a thrilling prospect for online casino players is that it exclusively stocks slots. So, if you’re a little bored with seeing all the same old games from the usual software developers, you’ll surely enjoy Dr Slot’s varied and fresh take on mobile casino gambling. Even better, since new titles are added regularly, the amount of games that are available to play now, will continue to grow in the days, weeks, months and years ahead. So, be sure to keep checking in to see what’s new in the lobby. Dr Slot is licensed by the Government of Malta and the UK Gambling Commission. Both authorities have consented to this online mobile casino operating within their jurisdictions and under the strict regulations and laws they set. In order to provide you with the safest and most secure online gaming experience, this operator uses high level web security software along with SSL encryption to protect your data and your money at all times. While you may not be able to get very far with payments via the app, customer support is offered through several handy options at Dr Slot online casino. Should you have a question or need help, you can reach a customer support member on the phone, by email, by post and through the super-handy live chat functionality. You can even get in touch through some of the site’s social media platforms. But, head to the FAQ section first, where you’ll find everything you need to know about major issues. Getting help at Dr Slot is easy. The FAQ section is well laid out and the customer support team are responsive. While payment options can be a little finnicky on the app, there is still a good assortment of options and low minimum deposit and withdrawal amounts. The ample free spins and generous welcome bonus are the perfect way to begin your journey at Dr Slot online casino. Dr Slot stands out for its uniqueness. We love that it has its very own games that we won’t find anywhere else, including the progressive jackpots. The lack of live dealer at this casino is no great shakes – it’s all about the slots, and exceptional mobile gaming, and Dr Slot gets full marks. If you’re feeling a little under the weather with all the “same old, same old” games out there, let Dr Slot prescribe a healthy does of unique games and bonuses to get you back of gaming track.